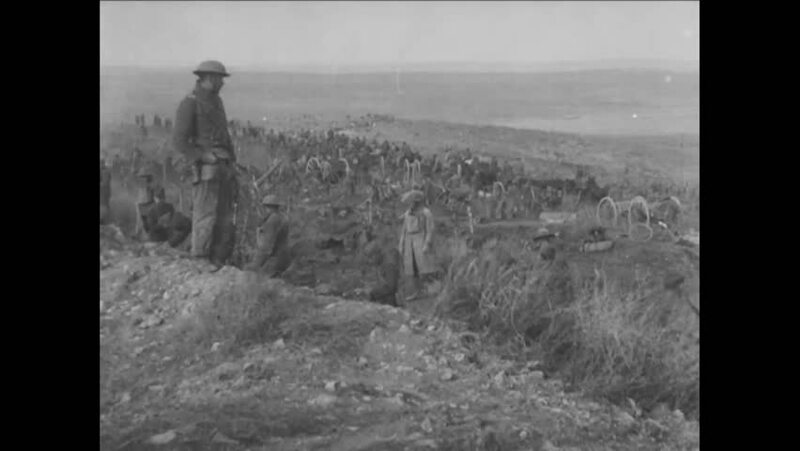 CIRCA 1918 - A French army unit passes a former battlefield where some burials are still taking place. hd00:58CIRCA 1918 - French soldiers are assembled to spread barbed wire. hd00:52CIRCA 1918 - Rubble around St. Mihiel, France and soldiers on horseback, after the battle in WWI. hd00:261940s: Ocean waves, lighthouse outcropping. Boy reflects sunlight to side of house with mirror. Boy holds mirror in garden. Boy breathes on mirror, traces finger through condensed water on mirror. 4k00:211930s: Man carries little girl down hill on his back. Men herd cattle. Mountains. Family stands near farm. hd00:231960s: Long shot of factory. View of factory, smoke rising. Trucks drive past building under construction. Men on construction site. Men working on construction. 4k00:311940s: Tugboat hugs ship in bay. Woman walks to railing on deck of ship. Man watches sunset on ocean from deck of ship.